As promised, I had an extra-special interview planned upon my return from bubble wrap and moving hell, and here I come bearing gift of that promise! Quentin Harrison is an Atlanta-based music journalist and music historian who is one of my go-to guys whenever I want a critical and academic slant on some of my favorite pop stars. If you have every come across his blog, The QH Blend, you'll see that he really knows his audio divas! He has recently launched his Record Redux book series, which will cover a wide-range of musical divas and their songbooks, and his first installment honors the Spice Girls and their extensive discography! Perfect timing too considering the Spice Girls' debut album, 1996's Spice is celebrating its 20th anniversary this year. 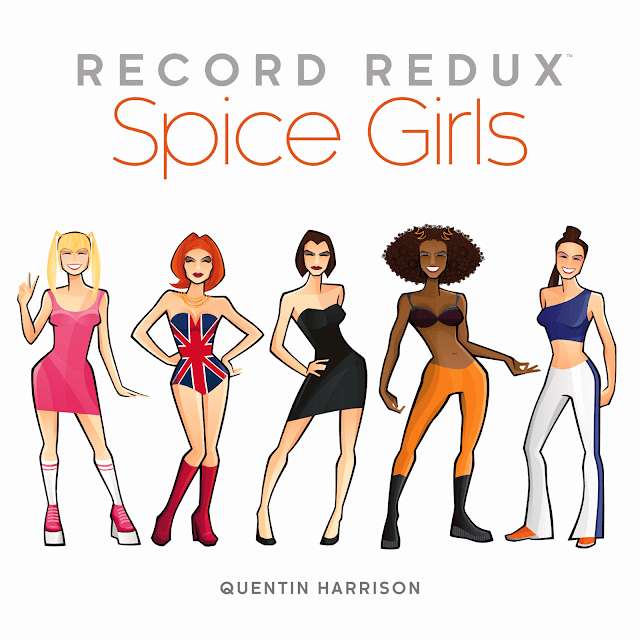 So if you didn't think the Spice Girls deserved to be examined in such a fashion, Quentin has got some musicology for you that you'll really want to get schooled on. Last month I conducted an interview with Mr. Harrison about his book and the Spice Girls legacy, and we had a great conversation that allowed me to see one of my favorite girl groups of all-time with a fresh and new perspective. It truly was a joy to dip back into time and chat with someone who knows their Spice stuff! So 'spice up your life' and get into this interview by clicking here or checking out the 'Interviews' page section, which can found under 'Categories' at the top of this site.